Nodeable, a San Francisco–based startup that uses social-media tactics to provide analytics on cloud-computing infrastructure, has closed a $2 million Series A round from True Ventures (see disclosure below). 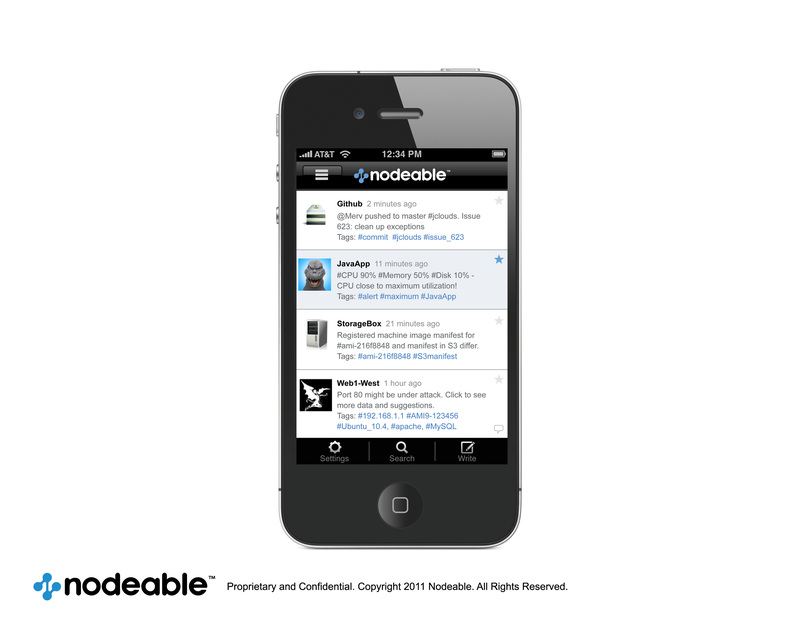 Essentially, Nodeable feeds customers data about the performance of their cloud resources via a Twitter-like stream. The product appears somewhat elegant in its simplicity. Typically, systems management, even for cloud-based resources, requires IT administrators to interact with applications and dashboards. Many will provide alerts by sending e-mails when a noteworthy event takes place or a particular threshold is reached. 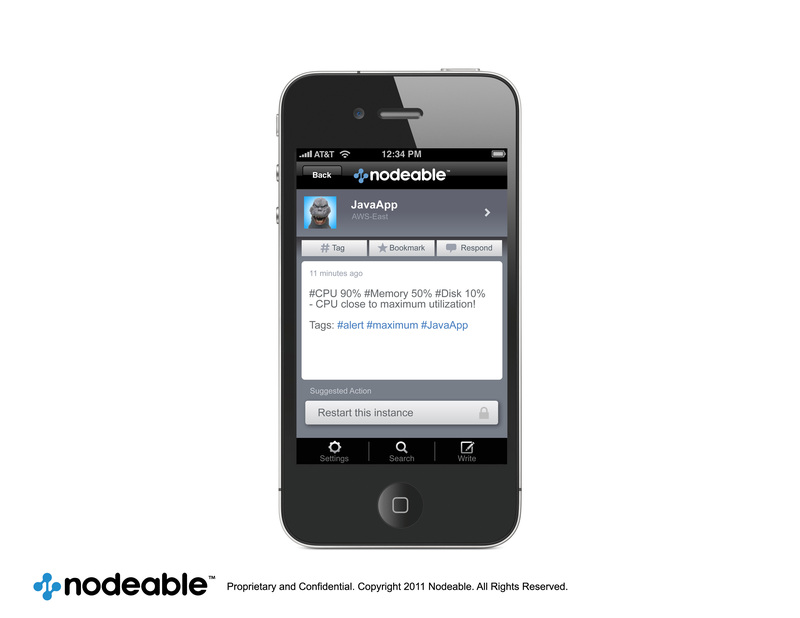 Nodeable lets users keep those existing applications — which often are necessary to actually manage complex cloud infrastructure — but modernizes alerts and other interactions into a real-time stream with simple messages. As the screenshot shows, messages from infrastructure components include suggested actions that administrators can perform simply by pushing the button if the solution to a problem is that simple. Disclosure: Nodeable is backed by True Ventures, a venture capital firm that is an investor in the parent company of this blog, Giga Omni Media. Om Malik, the founder of Giga Omni Media, is also a venture partner at True. This is truly innovative. I’m struck by how many companies want to apply old thinking to today’s challenges. Take Splunk for instance. Their goal was the reverse: develop a centralized system to cull through system logs and bring them into a single dashboard. That’s old-school thinking for today’s problem: highly distributed infrastructures, much of which might not even be physically on premise (exacerbated by the cloud). Nodeable has taken a seemingly incongruous technology, Twitter (designed for people to socialize), and created a way to enable machines to socialize. That is truly innovative. Of course, this is only enabled by the fact that there are so many services out there upon which to draw from technologically (i.e., via APIs and standards like JSON/XML) but this is the kind of thinking that will make some startups successful and others not. Sometimes it’s not about inventing the next great thing but applying what’s out there in inventive ways. Very cool idea, just not very practical. If you are an IT administrator, you would rather spend 10 seconds glancing at a single dashboard that displays status for your 50 servers than to sift through a stream of 50 tweets. Unless there is something else to this idea, this one is more hype than substance. How does this compare with real browser monitoring services like alert fox or browsermob?